We recommend checking out our discussion threads on the Cotton Carrier Wanderer Side Holster for All Camera Body 504 HSB, which address similar problems with connecting and setting up Utility Belts & Harnesses Cotton Carrier. The user manual for the Cotton Carrier Wanderer Side Holster for All Camera Body 504 HSB provides necessary instructions for the proper use of the product Photography - Bags & Cases - Utility Belts & Harnesses. Store your DSLR, mirrorless or compact camera in the ready position, at your side with the black Wanderer Side Holster from Cotton Carrier. Part of the Excursion Series, the holster has a 3.0" rear belt-loop for easy attachment to a user-supplied belt or strap. Behind the belt is an interlocking, touch-fastening strap for attaching to larger items such as the waist belt on a backpack. Although capable of carrying longer and heavier lenses, the longest recommended lens is a 70-200mm f/2.8 zoom. This holster is suitable for most varieties of photographic endeavor, such as hiking, covering sporting events, and similar shooting scenarios that might be described as light to medium activity. The shoulder strap has a sliding D-ring, safety tether strap, which allows your camera to travel up and down its length. The tether also serves as a safety backup for the remote possibility of accidental camera and mount separation. The tether attaches to the included split ring installed on your camera's strap lug with a swiveling snap-hook. The camera hub screws into the base of your camera's tripod socket with the supplied Allen Key. The back of the hub has a 0.25" threaded opening for mounting a tripod or quick-release plate without having to remove the hub from your camera. The hub's rubber washer is compressed during installation to help prevent unwanted loosening. Cotton Carrier recommends the use of a minute amount of LocTite as an added precaution. Always inspect your camera hub and receptacle for debris or wear that might negatively affect its performance. If you own a Cotton Carrier utility belts & harnesses and have a user manual in electronic form, you can upload it to this website using the link on the right side of the screen. Box Dimensions (LxWxH) 9.4 x 5.0 x 2.0"
The user manual for the Cotton Carrier Wanderer Side Holster for All Camera Body 504 HSB can be downloaded in .pdf format if it did not come with your new utility belts & harnesses, although the seller is required to supply one. It is also quite common that customers throw out the user manual with the box, or put the CD away somewhere and then can’t find it. That’s why we and other Cotton Carrier users keep a unique electronic library for Cotton Carrier utility belts & harnessess, where you can use our link to download the user manual for the Cotton Carrier Wanderer Side Holster for All Camera Body 504 HSB. 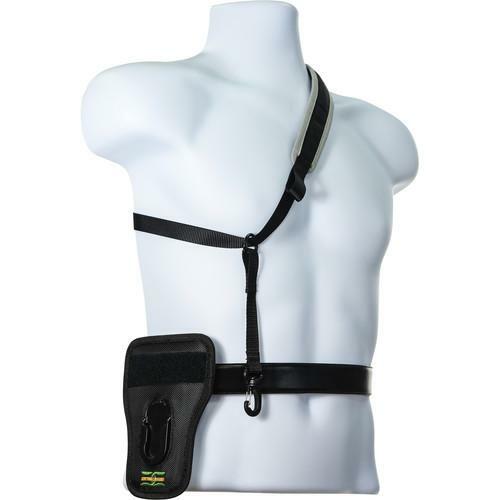 The user manual lists all of the functions of the Cotton Carrier Wanderer Side Holster for All Camera Body 504 HSB, all the basic and advanced features and tells you how to use the utility belts & harnesses. The manual also provides troubleshooting for common problems. Even greater detail is provided by the service manual, which is not typically shipped with the product, but which can often be downloaded from Cotton Carrier service. If you want to help expand our database, you can upload a link to this website to download a user manual or service manual, ideally in .pdf format. These pages are created by you – users of the Cotton Carrier Wanderer Side Holster for All Camera Body 504 HSB. User manuals are also available on the Cotton Carrier website under Photography - Bags & Cases - Utility Belts & Harnesses.